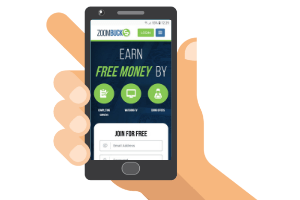 ZoomBucks claims to be a site where you can earn free money. But is ZoomBucks legit or a scam site to stay away from? 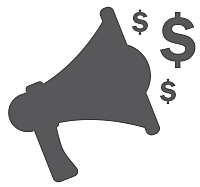 I have joined to test it and compare its options to the hundreds of other survey and get-paid-to sites I have tested. Let me just reveal right away that it has potential but there are also some big minuses about this platform you need to be aware of before joining. This ZoomBucks review reveals all the details so you can easily find out if it will be worth it for you or not. What is ZoomBucks and what does the site offer? ZoomBucks is actually a site that has existed for a long time. Or it used to exist and then had a four-year break and started again in November 2018. It worried me a bit with the long break as there is, of course, no guarantee that will not happen again. But since it looks like it is the same company that is running GrabPoints, I decided to give it a go. ZoomBucks is a GPT site (get-paid-to) as it has many ways you can earn. I usually like GPT sites but there are also many poor sites like this so let’s look into what ZoomBucks offers so you can see if it will be for you or not. Like most other GPT sites, ZoomBucks offers you to take paid surveys. It offers surveys through what it calls survey routers and it also has a ZoomBucks survey section. I am not sure why it has made these two separate sections. The surveys that are in the ZoomBucks surveys section are also from survey routers. But maybe it is to make it look better or look like there are more options. Anyway, survey routers can be a great way to earn by taking surveys. They usually give you access to many survey options. And on ZoomBucks you can find quite a lot of survey routers and the rewards are quite good compared to other similar sites. However, even though the rewards for their surveys are decent, there are some other things about ZoomBucks you need to be aware of before deciding to join or not, as I will get into later. Also, you have to be aware that with survey routers it is very often you will not qualify for the surveys. That is not only on ZoomBucks but on sites that use survey routers in general. But with a little patience, it can give you access to quite a good amount of surveys. You have to log in to take the surveys. But as soon as you have joined, you will also start getting emails with reminders about taking surveys. I think it is great getting reminders and survey invitations, but ZoomBucks sends out a bit too many of these, in my opinion. But that is, of course, a matter of personal preferences. Another way you can earn on ZoomBucks is by watching videos. This is the exact same way you can earn on most other GPT sites. You can find videos in many categories so no matter what you are interested in, you will find some entertaining options. There are many videos you can watch – but the rewards are VERY low. However, the video option gives really low rewards. To get a reward, you have to watch 3 videos + ads after or before each video. Most videos are around 2 minutes and then the ads are 30-45 seconds. Every time you have watched 3 videos and ads, you will earn 7 points. This means that it will likely take you around 10 minutes to get a reward of $0.007, which is what 7 points are worth. So you would have to watch videos and ads for more than 23 hours to earn $1. That is a very low reward, right? It says in the video section that you can earn unlimited points, but you can also see that that does not really mean unlimited earnings. You can, of course, just leave the videos running on a screen you are not actually watching but with that low a reward, you would probably spend more on the electricity than you would earn. So the videos can be entertaining but as you can see, you should watch them just to earn. You can find several paid offers and offer walls on ZoomBucks. Some of the offer walls. Here you can, for example, earn by taking paid trial offers, visit websites, trying apps, take cashback offers, and more. Paid offers can be a great way to boost your earnings as some of them give really good rewards. But you have to make sure to read the conditions for each offer. There is usually some conditions you have to live up to, to get your reward. It can, for example, be to play a game for a certain period of time, to pay for a trial and your paid membership will then continue if you do not remember to cancel, etc. But if you make sure to read the conditions so you know exactly what you are getting into and choose wisely, then you can find some good earning opportunities in the paid offers section on ZoomBucks. You can get paid a bit to invite other people to join ZoomBucks. This is to motivate you to tell friends about the platform and it is a promotional method used by many GPT sites. It can usually be a nice way to earn a bit extra if you know some people that would be interested in joining. The potential on ZoomBucks is, however, VERY small. The size of the reward depends on the country the person you invited lives in. The rewards for inviting friends are very low. For tier 1 countries (US, CA, UK) you get 250 points. This is the highest you can get. This is the equivalent of only $0.25. For some countries, you will only get $0.025 for inviting a friend. Also, you have to be aware that you do not get the reward until the person you invited has earned 1000 points. Overall, the refer-a-friend option is very poor on ZoomBucks compared to a site like PrizeRebel or compared to many other sites in general, where they give you real rewards that actually makes it possible to earn a bit if you invite others. So not a great way to earn on ZoomBucks. Now you know how you can earn on ZoomBucks. But it is also very important to know how you can then get paid. Every time you earn, you earn points. The value of a point and the payout threshold depends on the reward you want which can be a bit confusing and not very user-friendly. For some rewards 1 point is worth $0.001 – that, for example, goes for PayPal rewards. You can get a $3 PayPal reward when you have earned 3000 points. The payout threshold and value of points depend on the reward you want. 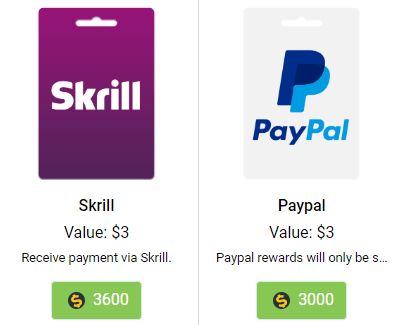 But if you, for example, want to get paid through Skrill, the payout threshold is 3600 points but you still only get $3. For a Roblox gift card of $5, you have to use 5600 points. So the ZoomBucks reward options are a bit confusing. But overall the payout threshold is not very high. But to get the most value for your money, you just have to make sure to find the right rewards. 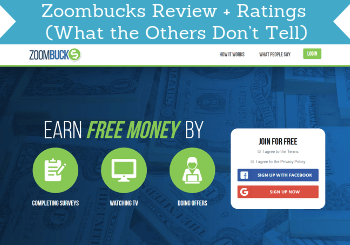 ZoomBucks gives quite a few ways to earn and some decent rewards for some of the options. So overall it is possible to earn some extra cash on the side by using it. However, it is, in my experience, not the site with the best opportunities and there are sites that are better and easier to use. Overall, you should also be aware that GPT and survey sites, in general, are not a way to make a full-time income or become rich. It can be a great way to earn some extra cash online and it is free and easy to get started, but you need to do it with the right expectations. Being able to use a GPT and survey site on mobile is great as this makes it possible to earn on the go. Therefore, it is, in my opinion, important that sites that offer these options can also be used on mobile. ZoomBucks can be used on mobile. It does not have an app but the website is well-optimized for mobile devices so it is pretty easy to use even on smaller screens. You just have to be aware that the surveys are offered through survey routers and not all of them are optimized for mobile. So if you take surveys on mobile, you might have to zoom in and out on the screen quite a lot. A good thing about ZoomBucks is that you can join no matter the country you live in. You just have to be at least 13 years old to join. However, just because you can join from all countries does not mean it will have good opportunities in all countries. So the amount of opportunities will depend a lot on the country you live in. A very important aspect of any platform you join online is the ability to get support. This tells a lot about the credibility of the platform. And it is important to know you can get help if you should run into problems with your account. This is actually where I have a big problem with ZoomBucks. I ran into a problem with my account, and I wrote their support. After a couple of weeks, I had not heard back from them. I tried to write again to give them another chance. I still did not hear anything. While writing this review, it has been almost 4 weeks ago I contacted them and I have not heard back even though I wrote them again to remind them. This is an extremely poor service and worries me a lot. In my case, I luckily did not lose any money but if there was a reward issue or you did not get your money out in time and something happened, it is important to know that the support does not really answer. This is just my experience and it might be different in other situations. But that they cannot answer even when writing again is a big issue, in my opinion. ZoomBucks has potential but it also has some big disadvantages, in my opinion. So to give you a better overview before deciding if it is for you or not, let’s finish this review by summing up the pros and cons. Overall, ZoomBucks has some decent ways to earn. But there are several reasons it is a platform I do NOT recommend. First of all, it basically offers the exact same things as GrabPoints that seems to be owned by the same company, and it even looks more or less the same. It just has fewer options. So no need to join both of them and GrabPoints is the better of the two, in my opinion. Also, that the support did not answer when I needed their help is a huge concern to me. This definitely makes it a site I do not want to use anymore. In addition to this, the point system they use is very confusing and not very user-friendly compared to many other sites. For these reasons, I instead suggest you to check out the best survey and GPT sites in your country. These all give better options and are more user-friendly, in my experience. If you have any comments, questions, or have any experiences with ZoomBucks yourself, I would love to hear from you in a comment below. ZoomBucks is a GPT site where it is possible to earn a bit extra. BUT it has some big cons that make it a site you have to think twice about joining, in my opinion. Especially the extreme lack of support is a big warning sign. In addition to this, the point system is confusing compared to many other similar sites. Overall I, therefore, recommend you to join other sites instead as there are so many great ones. Funny you should comment about it right now Jim. I actually just today heard back from them about this and they said they located some kind of issue with the link and should now have it fixed so it will not redirect people to Zoombuks. Can you do me a huge favor and check what happens if you click the link on my GrabPoints review again just to check they actually fixed and that you will not be taken to Zoombucks? I would really appreciate that. You did get your bonus points from GrabPoints now, right? They told me they had made sure that happened by sending you a code. Thanks for the review, Mikael! We’re always working on making ZoomBucks a great rewards site for everyone. We’ll take your comments into consideration! But looking forward to keeping on eye on your platform and see how it develops.